Genuine Epson ERC-38BR Black Red Ribbon for use with Epson TM-U200, TM-U210, TM-U220, TM-U230, TM-U300, TM-U325 and TM-U375 receipt printers. Buy the Original Epson ERC-38BR Black Red Printer Ribbon and other printer ribbons and ink cartridges at discounted prices from InkOasis.com. The Genuine OEM Epson ERC-38BR Black Red Printer Ribbon is used in a few different machines which are listed below. You can also verify your printer model by using our printer ink and toner finder and searching for your printer. If you need assistance with the Original Epson ERC-38BR Black Red Printer Ribbon we are available to help you with any questions. 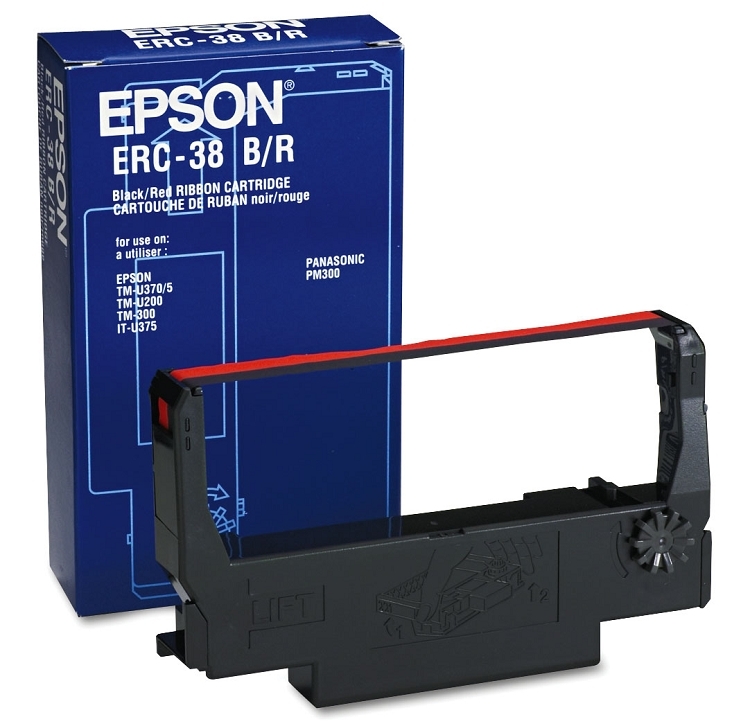 In addition to the Original Epson ERC-38BR Black Red Printer Ribbon InkOasis.com carries many different brands of genuine original (OEM) and compatible inkjet and toner cartridges. Be sure to check out our blog for printer cartridge reviews and printer ink coupons. We also offer free shipping on orders over $75 and quantity discounts on many cartridges.